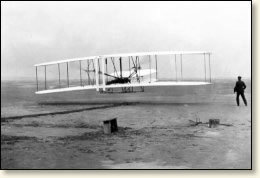 On December 17 each year, Americans celebrate Wright Brothers Day to mark the anniversary of the siblings' first successful flight in 1903 at Kitty Hawk, North Carolina. Test your knowledge of this monumental achievement and the brothers' other accomplishments with these trivia questions we've put together in observance of this special holiday. 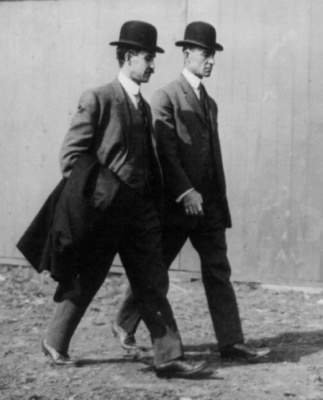 In the summer of 1916, Orville Wright uncrated the remains of the original Wright Flyer and repaired and reassembled the aircraft for an exhibit at the Massachusetts Institute of Technology. For years, the Smithsonian Institution pleaded with Orville to donate the plane to be exhibited in the nation's capital, but he refused, largely because he was angry over what he saw as the Smithsonian's misrepresentation of the history of the "flying machine." It was not until the 1940s that the Smithsonian issued an apology and admitted to the misleading nature of its earlier claims that the Langley Aerodrome was the first machine "capable" of manned flight. After the apology, Orville relented and began making arrangements to donate the historic aircraft to the Smithsonian. 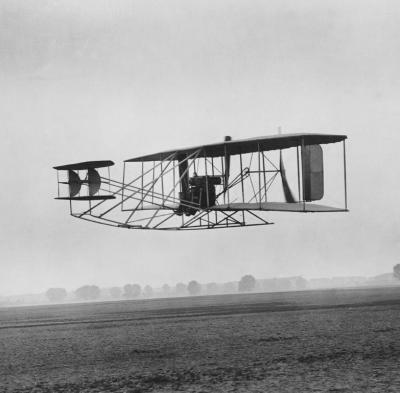 The Wright Flyer arrived at the Smithsonian in 1948, almost a year after Orville's death.